I’ve been going over the pages on this site after my dearly beloved FPO commented that “There are a few typos on your blog” shortly after she’d been reading through. Now of course, I have all the time in the world to go back and do all these corrections but that would prevent me from doing something really useful during my down time – fishing! However, I will get around it at some stage. Anyway I digress. During my checking, I realised that all the photographs that I had laid out for the article on reel balancing were missing for some unknown reason. I have just found them and they are back in place to supplement the article and show what I am trying to say. So if you’re like me and prefer pictures to words or you like pictures and words, the article is now as it should be. Again, I thank Neil Mackellow for allowing the use of his photos in this article. 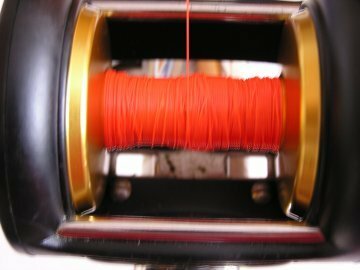 It is the first yards of line lay that set the balance on multiplier reels, yet many do not consider this when filling up with new line. 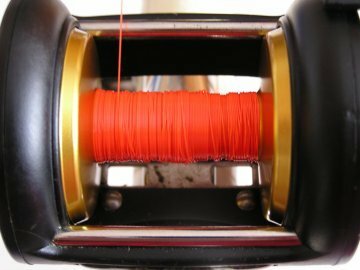 An unbalanced spool can lead to poor performance and noisy operation when casting. 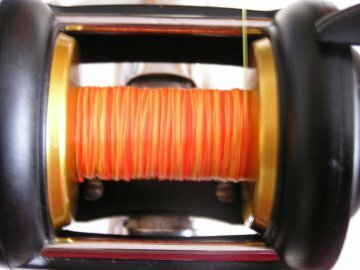 By following these simple steps when re-filling, the spool will be balanced and improved, quieter casting gained. Although these pictures relate to the Penn 525 reel, the technique applies to all reels. If this doesn’t balance the spool, unfortunately, it means stripping and re-doing until its right. This really can be a matter trial and error. 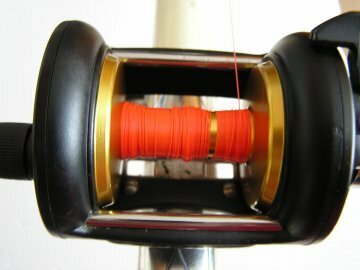 keep and even spread across the spool. 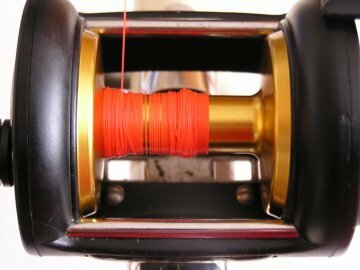 …until you reach the required depth of line on the spool. (and no, I don’t know why Neil used different coloured lines here). 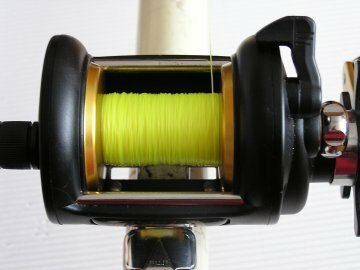 Even if your reel is equipped with a level wind, you can still balance it. 1. 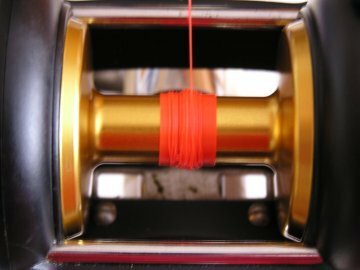 Thread new line through the level wind as normal and tie onto spool in the centre. 2. Before winding on, remove the screw cap from below the levelwind, the little pawl or ‘tooth’ can then come out. 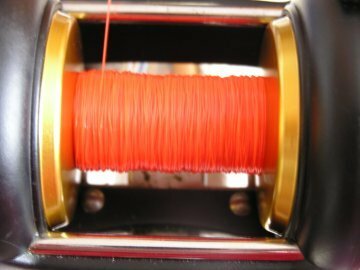 2.The levelwind can now slide freely across spool without being engaged in the worm drive. 3. Follow the instructions and pictures above. 4. When the line is evenly spread across, pop the pawl back in, do up the screw. 5. Continue to wind on until you have your required line depth.